MagniLink PRO is intended for visually impaired professionals at work. 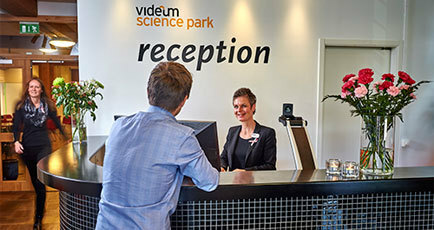 It is a very complete system right from start and it will cover the needs for most users in most situations. 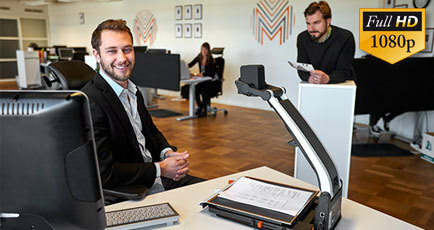 MagniLink PRO leads the market with regard to working height – meaning that just about everything (including large books and file folders) will fit below the camera. 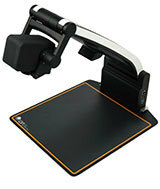 MagniLink PRO can be connected to most PCs and Mac computers – or directly to a monitor or smartboard. Total freedom! High-quality camera with FHD 1080p in reading/distance/mirror mode deals with everything you need. The FHD resolution, combined with a powerful 20x optical zoom and a number of LVI image enhancement techniques, makes sure that you will always get a crystal clear, sharp and detailed image with natural and rich colours at all magnification levels. MagniLink PRO is portable. 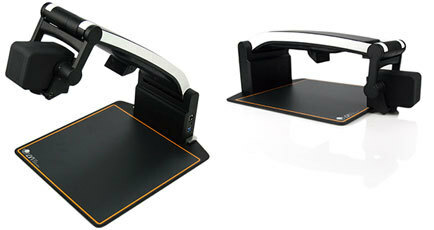 It’s easy to fold down and unfold and your desk can be quickly cleared when you leave the office. It also comes with a carrying bag for easy transportation, e.g. from work to home. Add a battery for even more flexibility – and you can use it for up to 9 hours wherever you want. Capture pictures with the reading camera – or record lectures with the distance camera and watch them again. Selected functions are confirmed with clear information on the screen – you can always be assured that the correct function is selected. Choose between several languages in the OSD menu. The included MagniLink S software is compatible with several other commonly used software, such as ZoomText, SuperNova and iZoom in Windows 7/8/10. 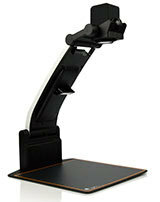 The included control box controls all functions and allows an ergonomic position. Two buttons are programmable and can be set to your most frequently used functions and settings. 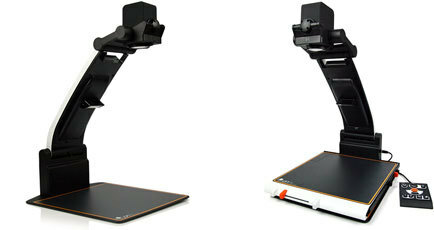 Personalize MagniLink PRO with a convenient XY table, TTS (Text to Speech) and/or battery for maximized freedom.